Belief in Alien Life Forms Status: Off the charts. I made an interesting discovery at a family dinner over the 4th of July weekend: The majority of Sam's extended family believes in the existence of extraterrestrials. Aliens. One of them even had a close encounter of the 3rd kind. (What does that even mean, the "3rd kind"? If humans are the first kind, who is the second?) Anyway, when this family member was a teen, she babysat for "them". And "they" showed her their spaceship in the sky. Below is their family portrait. I don't know why she thought they were aliens. I'm all for aliens. I mean, my YA book ECHO is about aliens. Sorta. Hot aliens. So, what about you out in blogosphere-ville? Do you believe in aliens? If so, what do they look like? Have you ever encountered one? (Please keep your stories on the PG-13 level. Teen readers, ya know.) And Kenny from NY, I'm not talking about any encounters you've had while under the influence of dentist gas. We went up to our condo in Midway, Utah, on the 4th. I love the small-town-ness of this small town. In their main street square, they were holding 4 corners of music. The only problem is that in a small town, there aren't enough fans to sustain 4 separate stations of music. So we plopped ourselves down on the grass in front of a guy who played the guitar. After one song, he thanked us for coming to listen to him, and said that no one was there before. I immediately thought, "Oh crap. We're stuck here all night." Thankfully, the guy was rather talented. So it wasn't too bad. But when it was time to leave, Sam stuck his finger down our three-year old's throat and made him puke. We were able to apologize profusely, and sneak away. It was the only way to go without appearing rude, right? Right? And I always listen to a talking surface-to-air missile, with a string hanging off his bum, holding a lit torch, sporting a maniacal smile and looking as if he needs to go pottie. 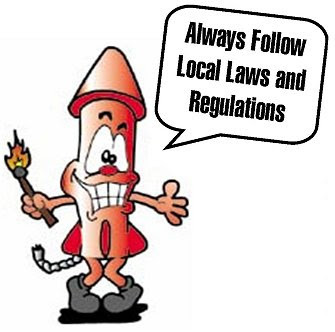 I heard that Smokey the Bear felt threatened by Torchy the Tool, and so he had him taken out. Now Smokey's slogan is "Don't play with matches, and don't mess around with Smokey the Bear." Why potty-train ever? If I had it my way, everyone would wear diapers all the time. Even the adults. Most likely, we're just gonna end up in diapers again anyway at some point in our lives, so why mess with the stench of inevitability? They didn't work. I stuck them all over kid B, hundreds of them, and yet he remained un-potty-trained. Kid B has been taking off his own diapers, and bringing them to us. So I propose that instead of potty-training him, we just teach him how to put a clean one on. He's halfway there. He could be the only kid in preschool who changes his own diapers. Teachers will be fighting to have him in their class. They'll create special awards just for him. 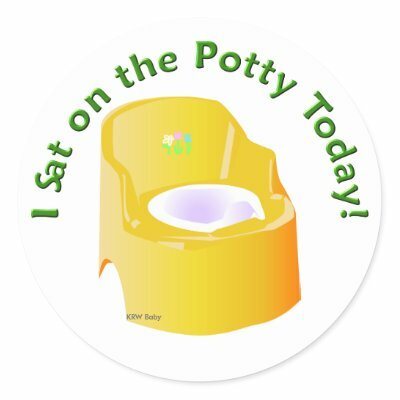 To tell the truth, we tried to talk ourselves into it, but anytime you start the morning wondering, "Should I try to potty-train today?" without a doubt the answer will always be, "Nah." Someone on my facebook mentioned that bribery works wonders. So I told Sam to feel free to bribe me to potty-train the boy. I'm thinking a gift certificate for new Kindle books, or something like that. Wait, he meant bribe the kid? Whatever for? Reward him for doing something nature always intended? That's just plain silly. I told my niece there should be people for this. Like a business. Leave your kid with them for the weekend, they'll do the dirty work. And now, I've probably spent more time blogging about the stupid thing than it would have taken to just train little B. But our house is clean. So, how was your fourth? And are you in the market for a fun bribe? wtg sam on the finger in the throat, i need to try that once! and REALLY? who needs to be potty trained--i am more than 1/2 way to diapers again in my life--wouldn't it have been easier just to skip right past the potty?? and last, but certainly not least, i do not believe (in aliens that is) there you have it! I love the idea of a business where all they do is potty train kids. If anyone knows of a business like that (and no doubt those businesses have names like 'Weekend Potty-Rama' or 'Friday, Saturday, PottyDay' or 'Potty-R-Us' or, ok, I'll stop) let us know. Happy Birthday to America...and to be honest, you are showing your age a bit right now. Sam- "showing your age". LOL. I'm sad I missed you in Midway! But glad I went to the breakfast and art show instead of the live music. I went to a concert with four musicians at an amphitheater in Orem once . . . and there were 9 guests. Probably the musicians' spouses and me. I really wanted to leave. But I was trapped. I should have thought of puking---good tactic! Well, if there is life on our planet in our galaxy and there are other planets in other galaxies, it stands to reason aliens exist. Though, I doubt we'll ever cross paths. I find I just break out in hives (or pretend to), greatest excuse in the world. Even gets you out of family gatherings! Kim- sorry I missed the breakfast. I heard it was great! And "If All Else Fails, Throw Up" should be our new motto or something. Una- Hives. That's another good one. And easier to fake. Oh and to answer the question, I'm always up for a bribe!! What did you have in mind? My money would so be on Smokey the Bear...that missile doesn't stand a chance. I have not had any recent encounters with the "3rd kind", but I hear there might be some living next door to us. Or maybe that is my mother-in-law that lives next door. Either way: aliens, mothers-in-law, or weirdos could all be the "3rd kind" and I'm related to all of them. As far as potty training goes, good luck. Asher still isn't potty trained, nor does he want to be. He always gives me clean diapers when he wants to be changed, but ask him if he wants to go pee-pee on the potty, the answer is still the same: NOOOOOOOO! Hi Brodi.....and thanks for thinking about me. Maybe I should have been more specific with where I live. It's not just NY, but New York City. I think everyone here is from outer space.....lol. Kidding. Not. OK, kidding. (Although I do wonder about some of them...lol). In connection with my dental visit on the gas, I never saw an alien, although I do drift of in lalaland and LOVE it. Oh yeah, and once, both my dentist and assistant morphed into cartoon characters......love them both. Kenny. Maybe you shoulda just given the kid a little pinch. The screaming and crying do wonders and then there is no throw up to clean. Although it could back fire if the kid can scream, "DAD! Stop pinching me!!!" Oh potty training. Our kids took foreva eva on that. Seriously. We just got done with #2 and we're paying up on all our bribes still. Yeah what is the 2nd kind? Maybe Humans are first and animals are 2nd? Or maybe thats just the aliens way of throwing us off track. We'll spend so much time figuring out 2 that we won't go looking for them and their 3's. I believe in aliens, but I think they look just like us and that they're actually human. I don't know if they travel in UFOs or not and I don't think they come to our Earth. My hubby thinks he was abducted by aliens when he was a kid. I keep telling him it was just a vivid dream, but he insists that he was abducted. Wow, sorry I was gone the latter half of the day yesterday. The aliens heard I was talking about them, and they insisted on probing my brain. Una- I'll pay for your plane ticket if you come potty-train my kid. Erin- Your Mother in law is an alien? That sounds like a lifetime movie title. Debbie- Why didn't I think of pinching before barfing? I'm such a dork. Jenni- Sam's family agrees- there are aliens out there who look like us. Oh Brodi, I'd take you up on it but I have no experience in potty training. For all I know, I could just make it worse! Una- you couldn't possibly make it worse. After this morning... Yuck. And body-snatched neighbors? I think I have some of those. Potty training has to be just about the worse thing about parenting thus far. When I found out I was pregnant, I actually feared having to potty train one more! I like the idea of the bribe. Maybe you could calculate how much you would save in a years time and that could be your incentive. For my little guy, the only thing that worked was monster trucks. I bought him a dang monster truck every time for about a week. Good luck! Monae- Monster Trucks. I'll give it a try. I decided never to potty train again, I figure somewhere before 18 they'll figure it out. It was an uphill battle, and FYI, letting them go outside because the dog does it is not a good habit to get into ;). Anon- going on the lawn? I may have to give that a try. I've been wanting to get my kids outdoors more.